And just like that the weekend over and we start another week! Over the weekend we drove to Mount Rainer National Park – the weather in Seattle was insanely gorgeous so we couldn’t have picked a better weekend to have gone. We hike for 5 miles and then came home and CRASHED! On Sunday we strolled around Pike Place, got brunch and then went and saw Jonathan Van Ness – if you don’t know him you must be living under a rock! This weekend I’m headed to Chicago for a fun event with Armani Beauty so stay tuned for all the goodness! 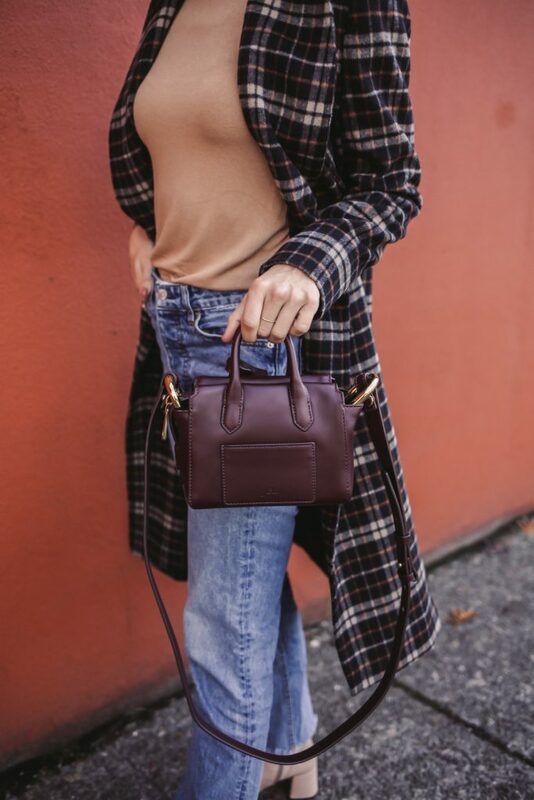 Today’s post is all about outerwear and how plaid outerwear for fall is one of the hottest trends right now and some easy ways to style it! 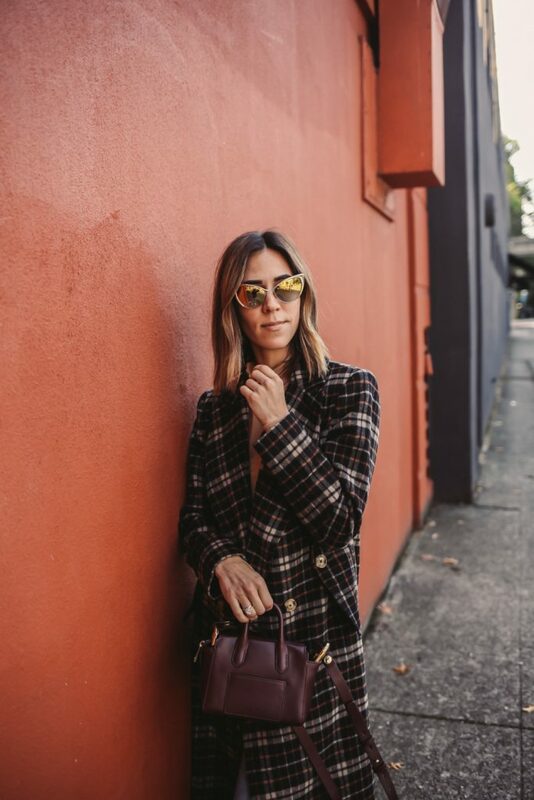 C/MEO Plaid Coat // Another strong trend we are seeing this fall is the power of a plaid coat – this black check coat from C/MEO is a great neutral plaid. It’s one of those coats you’ll wear fall after fall! 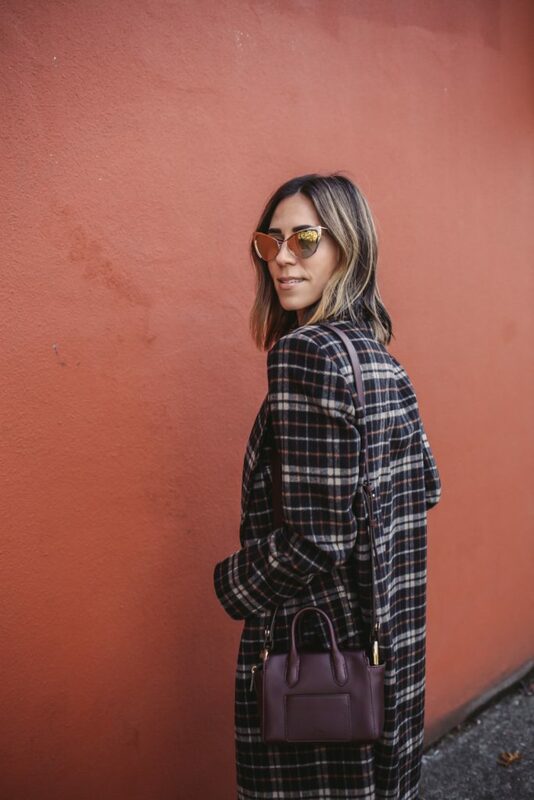 Plaid is one of those trends that is completely wearable! 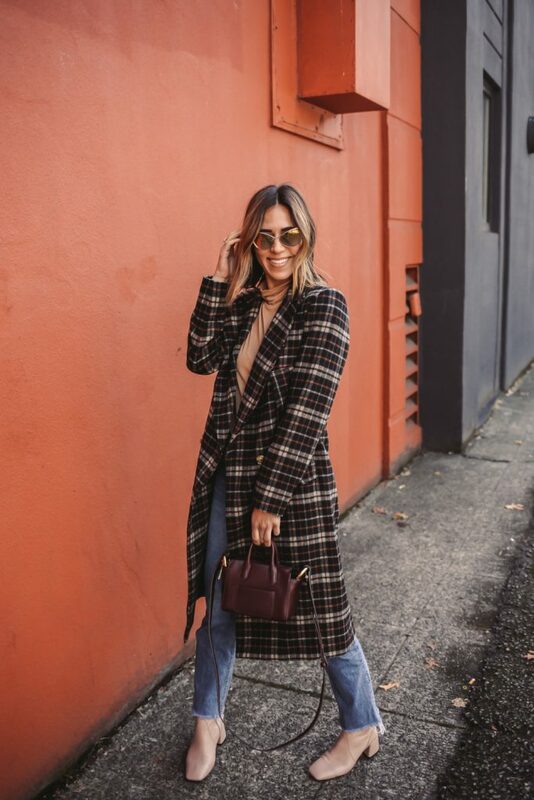 For something a little more traditional for the season, try this navy and green plaid coat from ASOS that is under $100! 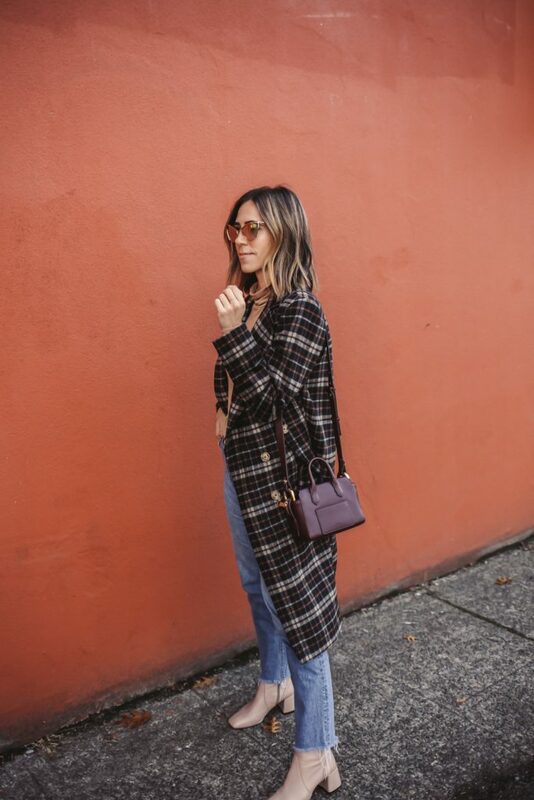 Nordstrom has two really cute plaid coats, both under $200 that scream holidays! This red plaid coat is $129, while this red and white plaid coat is $179 – both of these coats have immediately put me in the holiday spirit! Tan Turtleneck Sweater // The 80’s and 90’s continue to impact our fashion season after season and turtlenecks are back in a big way friends! I think I own a turtleneck in every neutral color – you can never go wrong with having few in your closet! Taupe Suede Booties (leather version) // One of the most essential pieces everyone needs in their closet is a good pair of black booties (like these Marc Fisher ones) and a pair of taupe / brown booties! You can never go wrong with a neutral shoe. The version featured in this post are a Topshop shoe from last season, but here is a good suede and leather pair! 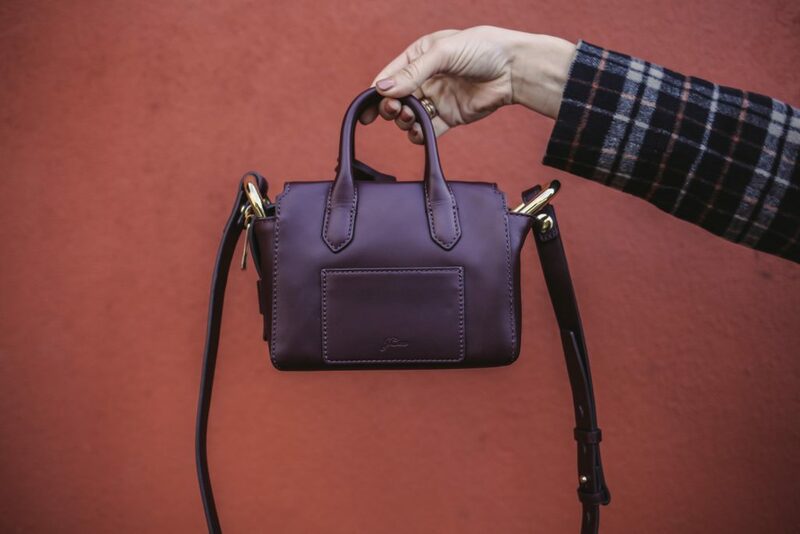 J.Crew Tote // This Mini Harper Satchel has quickly become one of my go-to bags this fall! The size is perfection and the color screams fall! I love how the color of the bag stands strong with the black plaid coat as a background. Check out the bag here and all the colors it comes in – it also comes in a larger size!